Here at Best African Hair Braiding , we only offer services that we have total faith in. We want every one of our clients in Huntsville and all over Alabama & Beyond to have the best salon experience of their lives, and we take a lot of pride in the fact that our clients only get the best from us. We appreciate the fact that our clients understand the high standards we hold and that they have given us such a outstanding reputation. We’re proud that we can offer you an escape from the stress and pressure of the outside world. 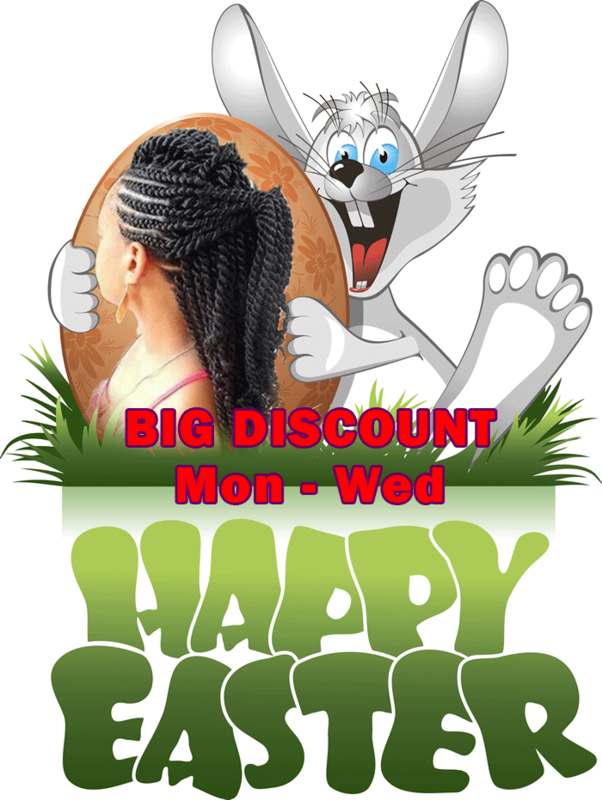 Best African Hair Braiding and Weaving can be your refuge where you can feel like yourself and discover how you were meant to look. We have made an effort to create a welcoming, relaxing, and calm environment in which both your body and mind can be revitalized and reinvigorated. Don't forget to book your appointment today and save big.